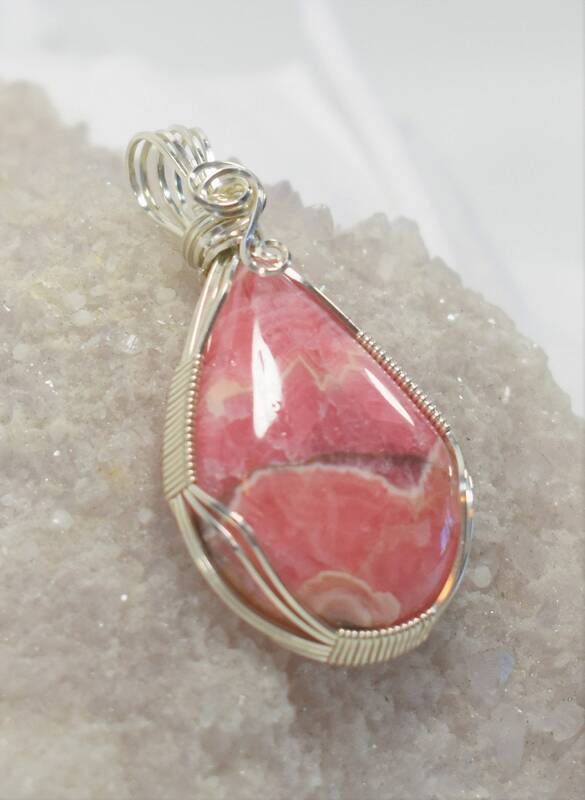 This is a gorgeous Rhodochrosite cabochon with some nice gemmy pink as well as bands of lighter pink and white. 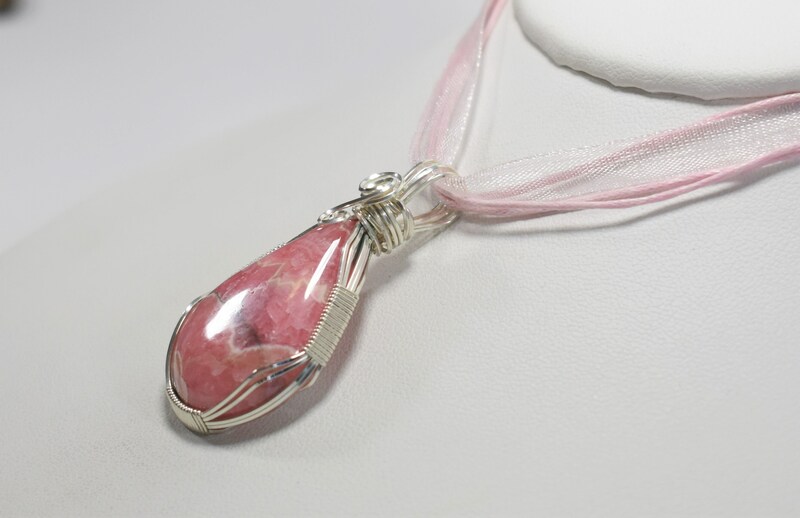 I wrapped it in .925 Sterling Silver wire and paired it with a pink ribbon organza cord. 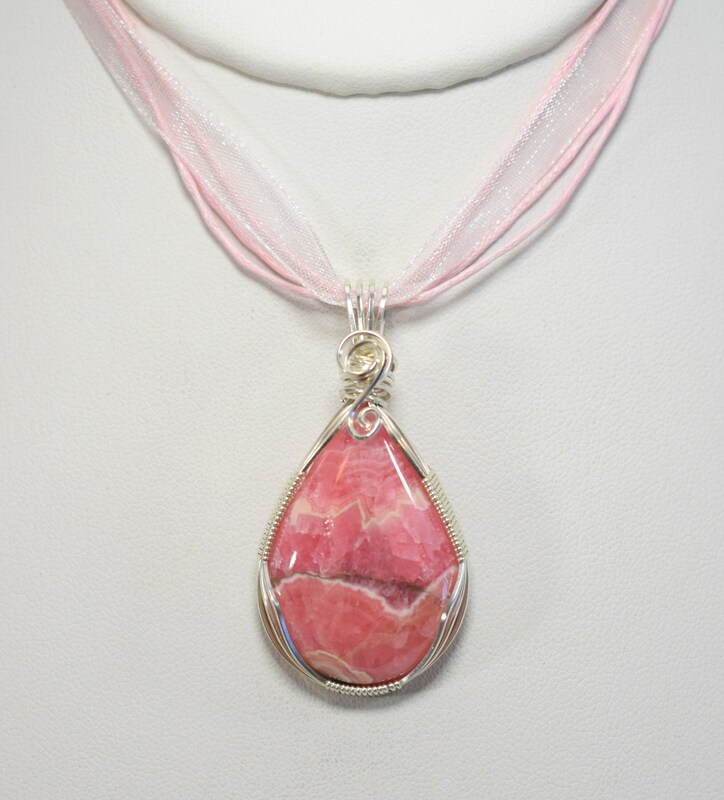 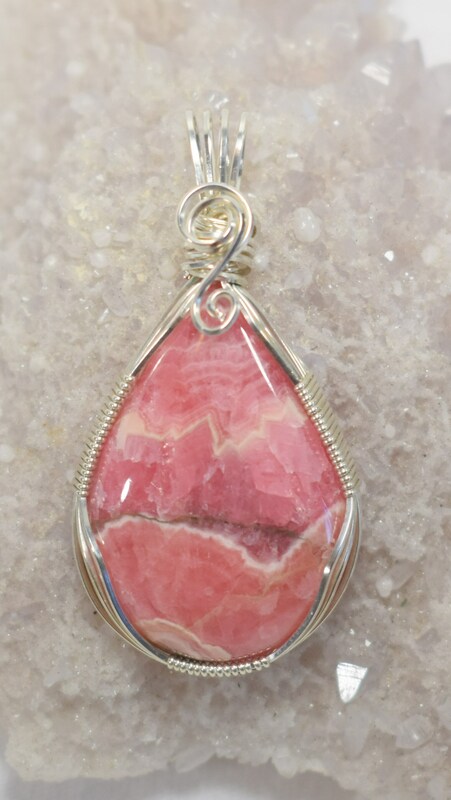 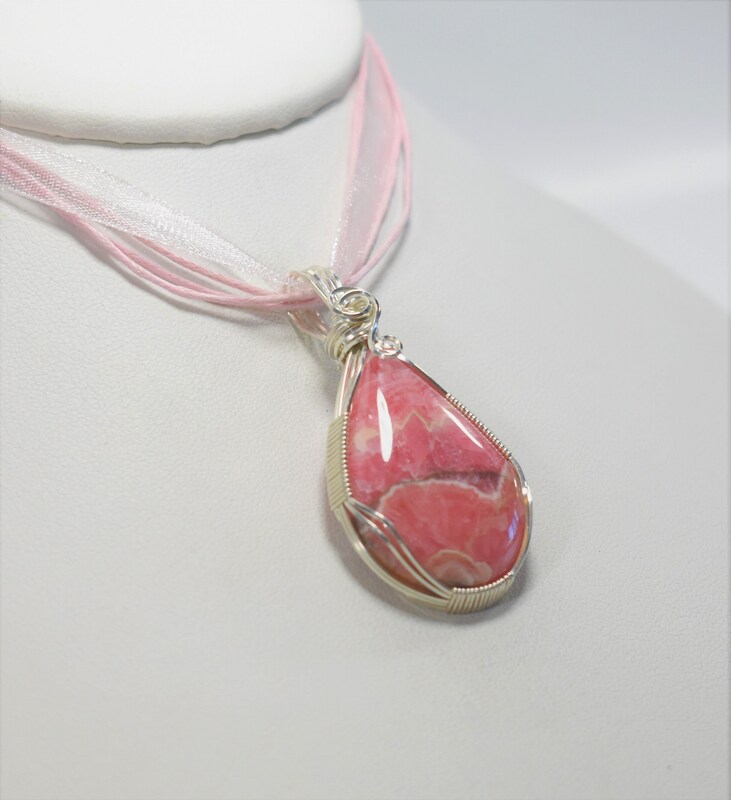 Rhodochrosite is a self-confidence booster due to bringing a sense of realistic balance to life. 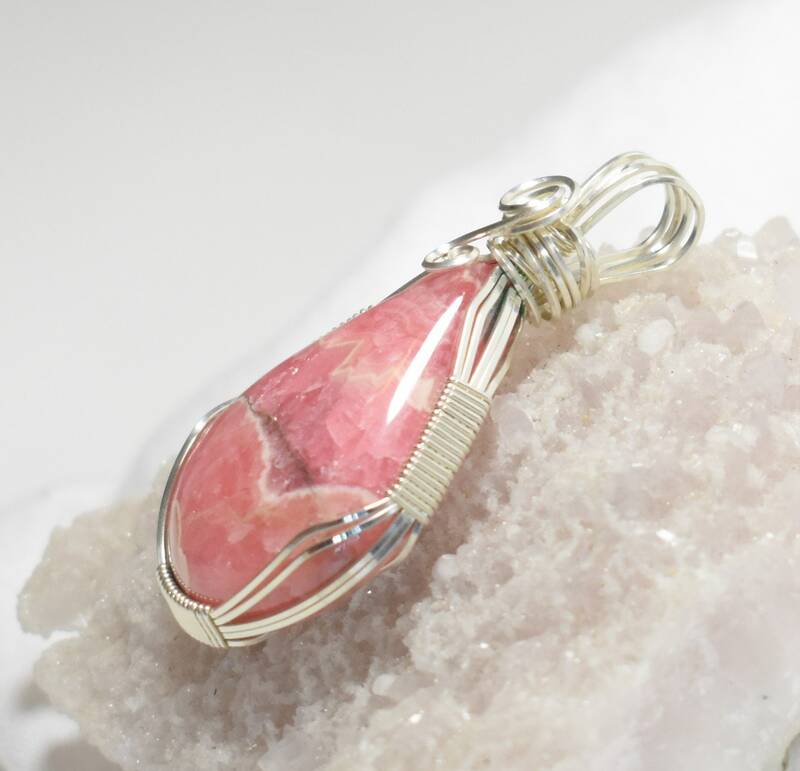 It is also used to help cope with problems in life in a graceful, balanced manner without avoidance or denial.